The 2018 Honda CR-V didn’t win 2018 Motor Trend SUV of the year for nothing. This compact crossover is fun to drive and offers serious performance, versatility, space, and safety. Styling offers a sleek and sporty look, with a number of technology features, making this vehicle one you’ll fall in love with. 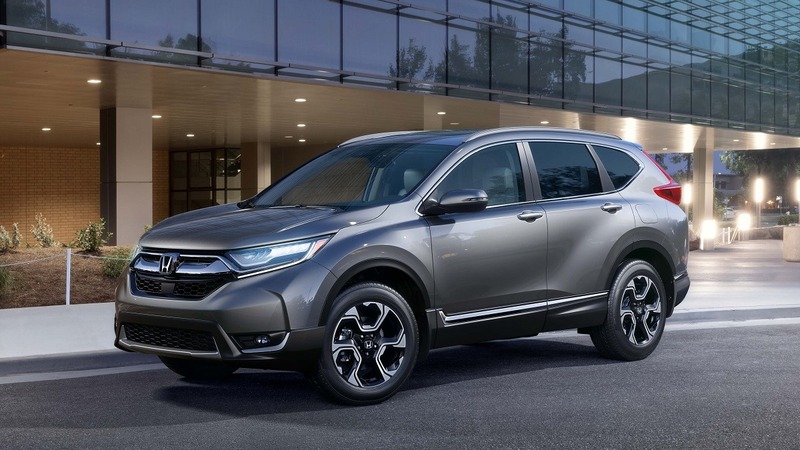 The 2018 Honda CR-V stands above its competitors with the high degree of performance and versatility offered in the model. Under the hood sits a 1.5-litre, 16-valve, turbocharged 4-cylinder engine. This engine doesn’t hold compromise on power, providing drivers with 290 horsepower and 179 lb-ft of torque. This powerful engine works in combination with the continuously variable transmission (CVT) to make driving the CR-V experience a great one, no matter the driving conditions. The 2018 CR-V also features Real Time AWD, which provides power to each wheel individually, and Intelligent Control System, which helps to improve handling. A major advantage that the Honda CR-V offers is driver confidence. In the CR-V, you can take on almost any road with ease. With the 2018 Honda CR-V, Honda makes no compromises on space for passengers or cargo. The rear seats fold down simply at the pull of a handle, offering a 60/40 split to make room for everything your trip demands. With the seats up, the 2018 model offers 39 cubic feet of cargo space, meaning it can hold 10 standard carry-on luggage bags. With the seats down, the cargo space increases to 75 cubic feet of space, increasing the number of bags it can hold to 25 – offering best in class storage space for compact crossovers. The 2018 CR-V comes with the full suite of Honda Sensing Technologies. These technologies are designed to keep you as safe as possible on the road, whether you’re driving or in the passenger seat. The suite of features includes Forward Collision Warning (FCW) System, Collision Mitigation Braking System, Lane Departure Warning System, Lane Keeping Assist System, Road Departure Mitigation System, and Adaptive Cruise Control with Low-Speed Follow. For more information on what makes the 2018 Honda CR-V best-in-class, visit us at Henley Honda for a test drive. We promise, once you sit behind the wheel, you won’t want to leave.